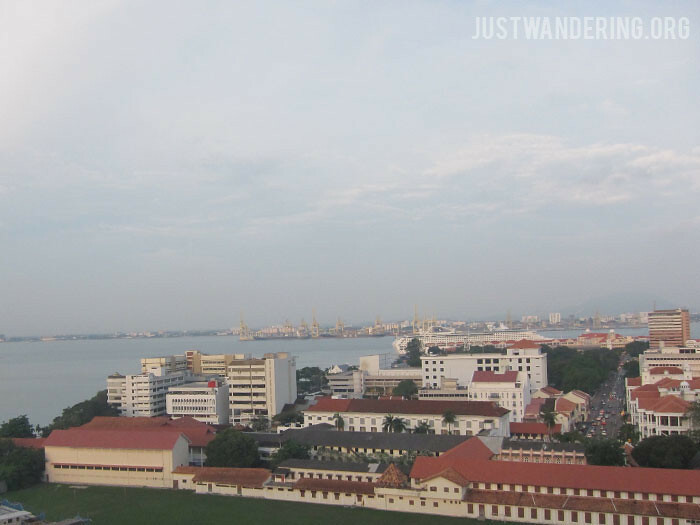 A visit to Penang is not complete without staying and exploring the historic city of Georgetown. 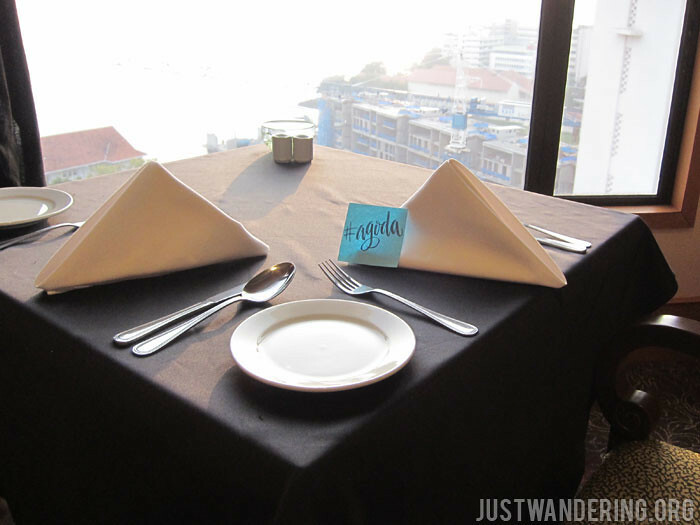 For this leg of our Penang trip, Bayview Hotel Georgetown has kindly offered us two night’s stay, and a special rate for my third night through Agoda.com. 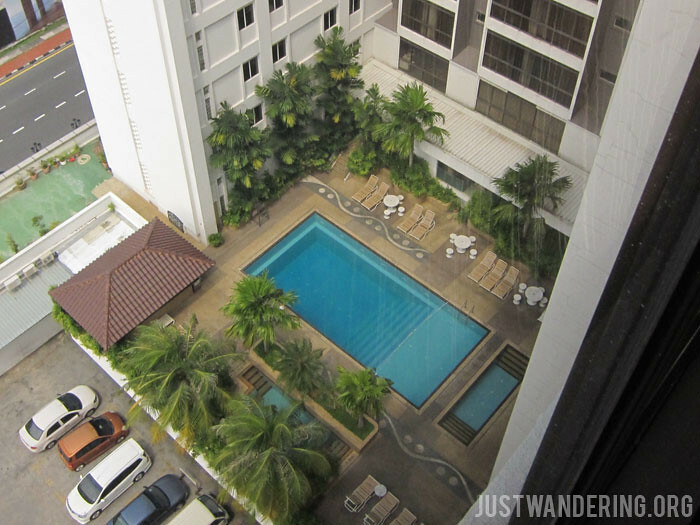 The hotel is located on Lebuh Farquhar, right in between the Eastern & Oriental Hotel and the Cheong Fatt Tze Mansion. While it’s in the buffer zone, its location is still pretty optimal — the highlights of the UNESCO World Heritage Site is within walking distance, yet it’s far enough that it’s in a quieter neighborhood (though the streets around it are quite busy with speeding cars). 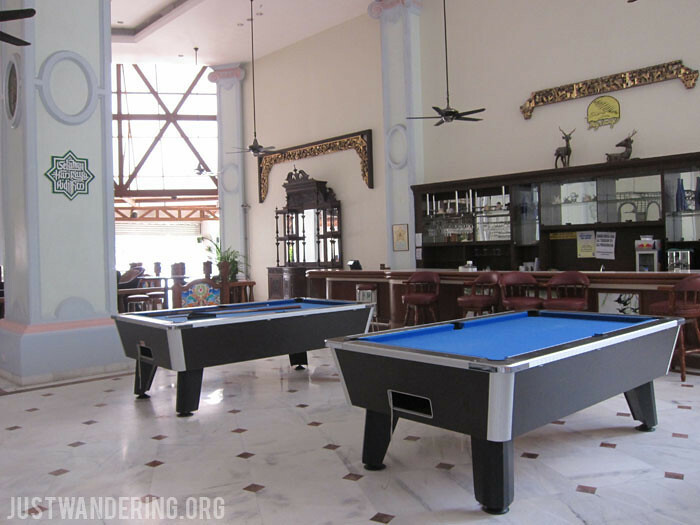 From the Georgetown Bayview Hotel, we were able to walk to the Purrfect Cat Cafe in Jalan Muntri, Dewan Sri Pinang in Light Street, and Kapitan Restoran in Lebuh Chulia in the historic core. Taking a cab to Pengkalan Weld would cost between RM 8-10, which already includes the surcharges. Going to the airport would cost between RM 40-50, depending on the traffic. We were assigned to a Premier Deluxe room on the 15th floor. 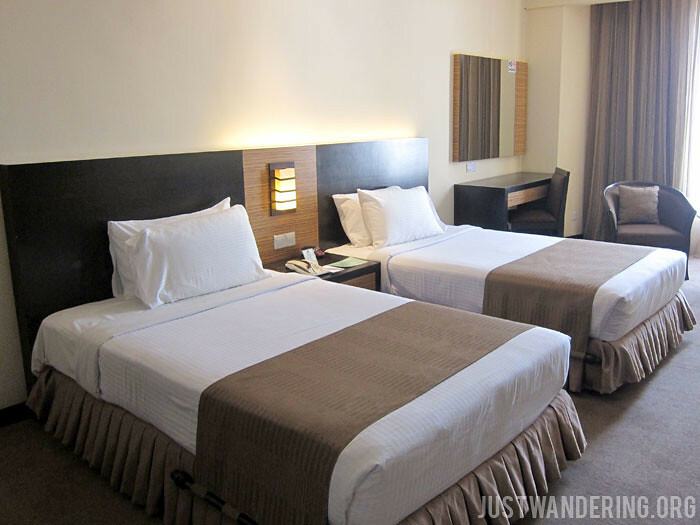 Though the hotel is showing its age, the rooms are recently renovated and are quite modern. Our room looks out towards Butterworth, with a partial view of the E&O, the esplanade, and the docks in the distance. It’s a pretty big room, more than enough space for up to four people. There is a separate desk, a dresser, and a small coffee table, which came in handy when we had friends come over to play Cards Against Humanity. The beds are firmer than I would like, but they’re comfortable enough that you’d still want hit the snooze button more than a couple of times. We had twin beds, and each bed had two fluffy pillows, which is always welcomed. The toilet and bath is spacious. 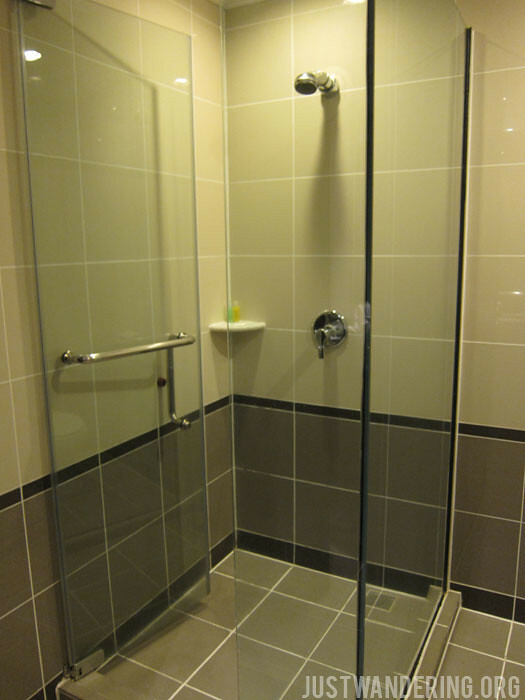 The shower is separate from the tub, which is fantastic. I have to admit though, that the thing that I remember most about this bathroom are their non-slip floor tiles. 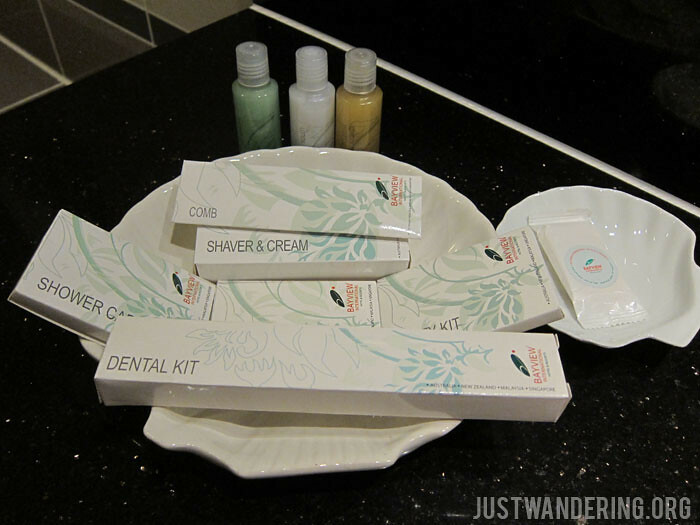 I think it’s the first time I’ve encountered it in a hotel bathroom, and I’m really happy with that. 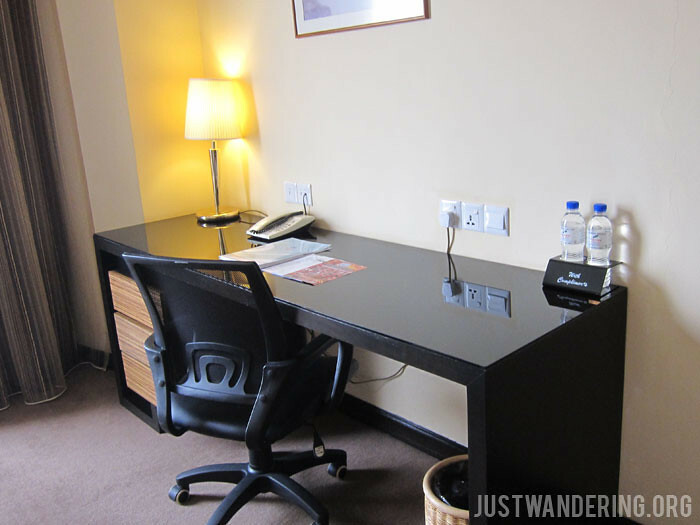 The premier rooms have complimentary Internet access, whether through wireless or wired connections. There is a unique login for each room, and it is limited to two devices only. Switching off your device’s wi-fi does not disconnect it from the network though, so if you’re wanting to connect a different device, you’ll have to call the front desk to have them manually disconnect it for you. 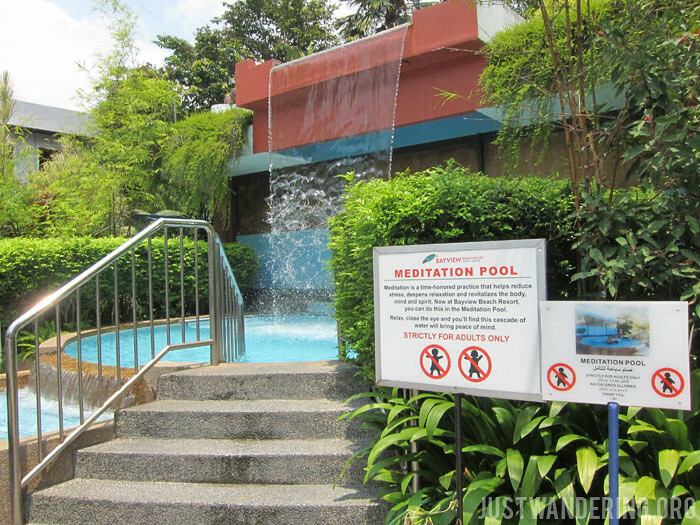 The hotel also have a swimming pool (with an terrifyingly deep end, especially when you see it from the 15th floor), a children’s pool, and an outdoor jacuzzi. 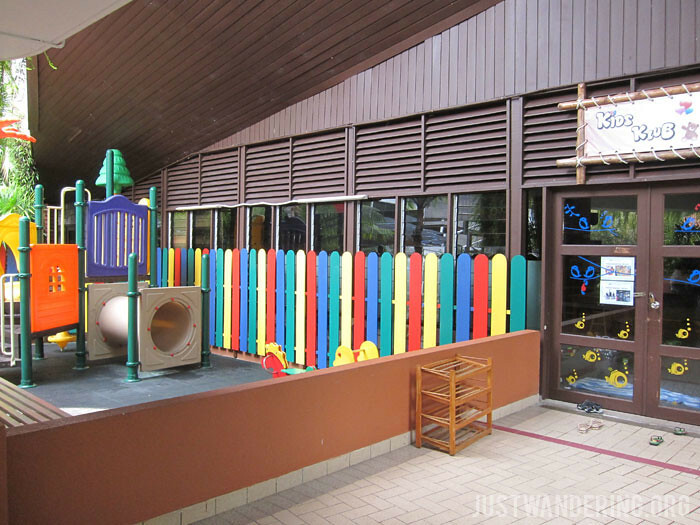 There’s also a tailor onsite, Internet center, gym, prayer room, and a concierge where you can arrange for a babysitter, or buy postcards (they’ll also mail it for you). Guests who have cars can park for free at their car park. Just present the parking pass at the front desk for validation before you exit. 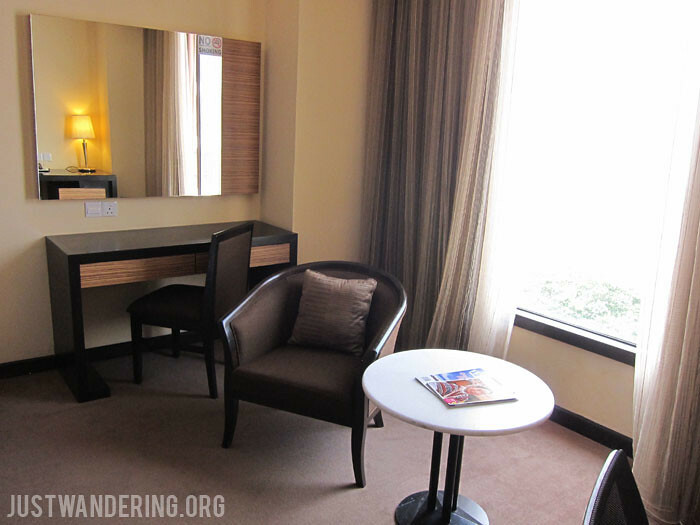 All the rooms from the 14th to 16th floor are Premier rooms and have access to the Premier Lounge on the 16th floor. 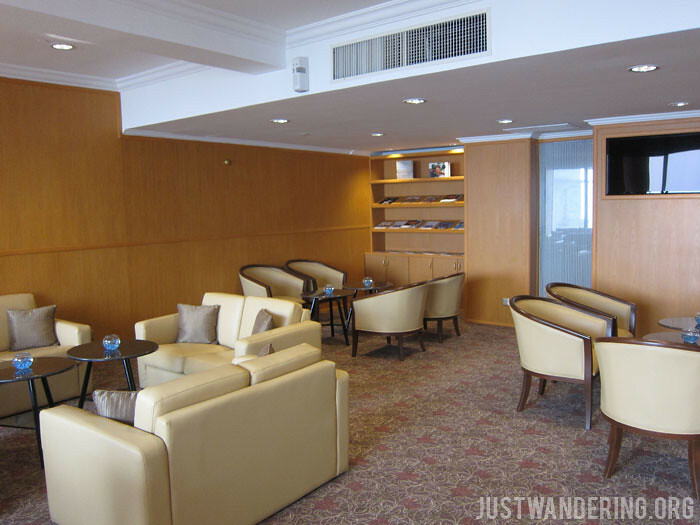 You can have breakfast at the lounge from 7:00 am until 10:30 am, afternoon tea and cocktails from 5:00 pm until 7:00 pm, and complimentary non-alcoholic drinks throughout the day. 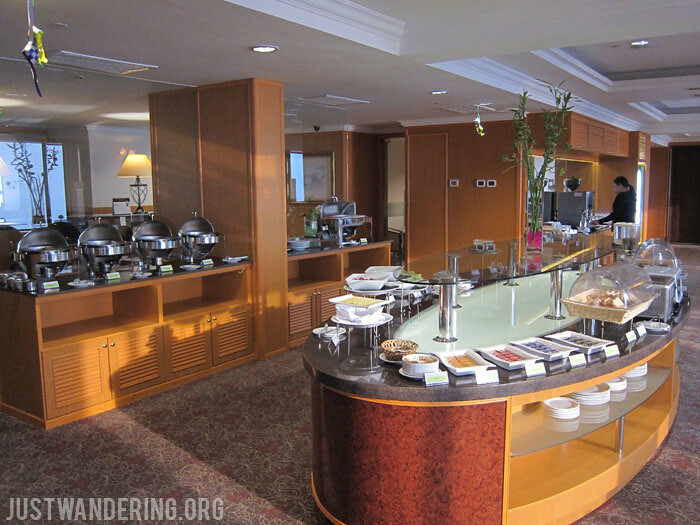 We had breakfast at the lounge everyday. 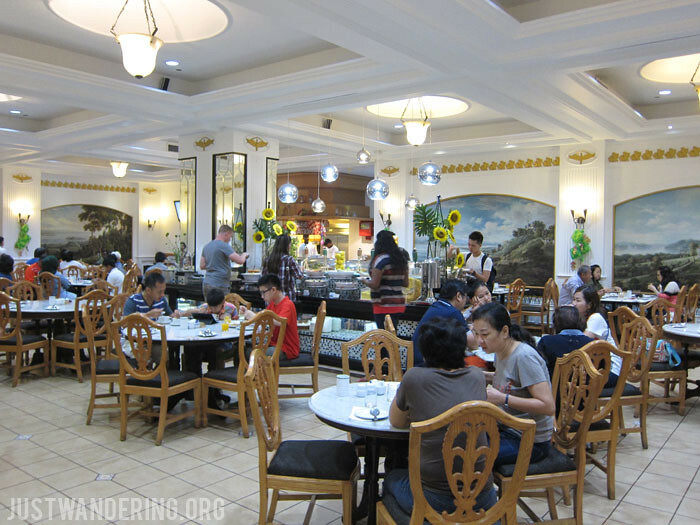 Though the selection is so much more limited compared to the buffet at Kopi Tiam, there is a lot less people dining at the lounge, which appealed greatly to us. The lounge also has a reading room, a board room, and a computer room, in case you need to get some work done, but haven’t brought your laptop. The Premier Lounge access pass for each room is for two people. 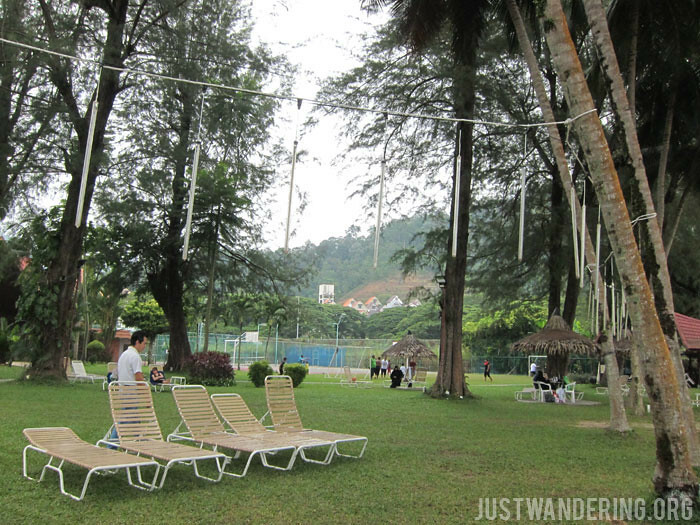 Any additional guests would have to pay RM 80 for entry and use of the lounge. 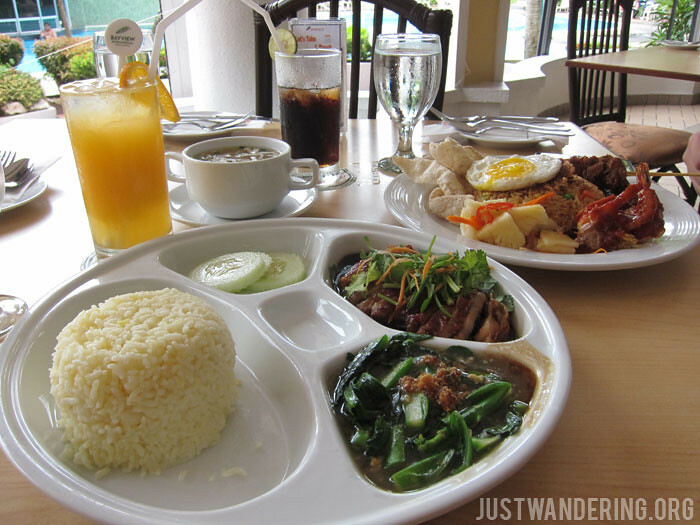 Kopi Tiam Coffee House is the hotel’s all day dining restaurant, which serves the daily buffet breakfast. 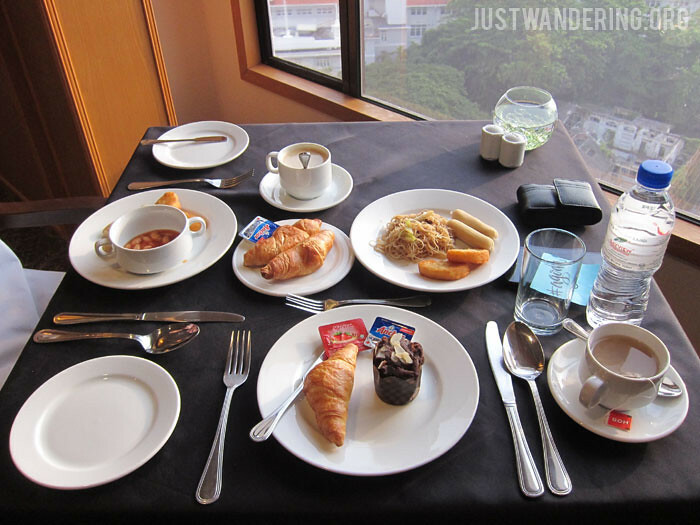 There is a good variety of local and western dishes available for breakfast. They also have an ala carte menu available for lunch and dinner. I tried the Roasted Chicken Rice for dinner on my last night, just to compare it to the chicken rice at the Bayview Beach Resort. 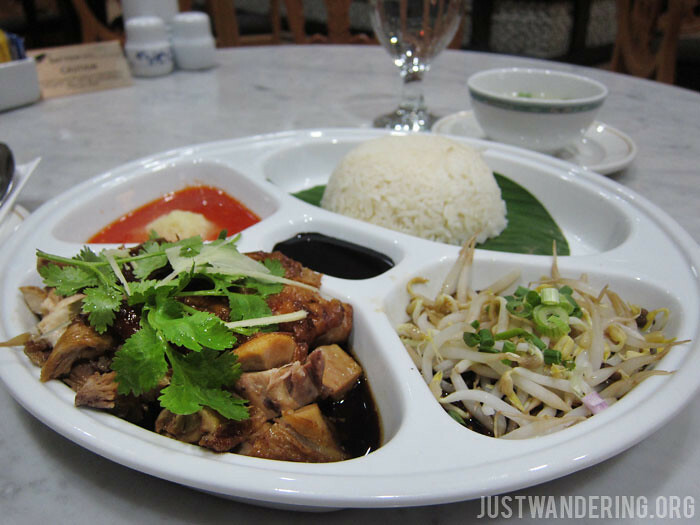 The chicken is as flavorful and tender, though the hotel’s version comes with beansprouts (my favorite) and chili sauce. Since I had dinner early, I was hungry by the time I came back to the hotel after watching 100% Penang at the Dewi Sri Pinang. I ordered the Char Kway Teow, which came loaded with chilies. It was spicy, but not overly hot (I painstakingly took out all the chilies), and very filling, as it was a pretty big serving. 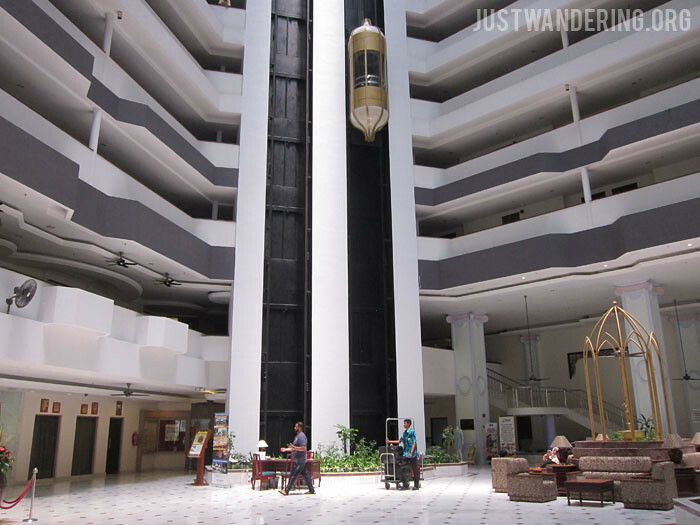 At the time when Bayview was built, it was the tallest building in Penang, and the only one with a revolving restaurant. 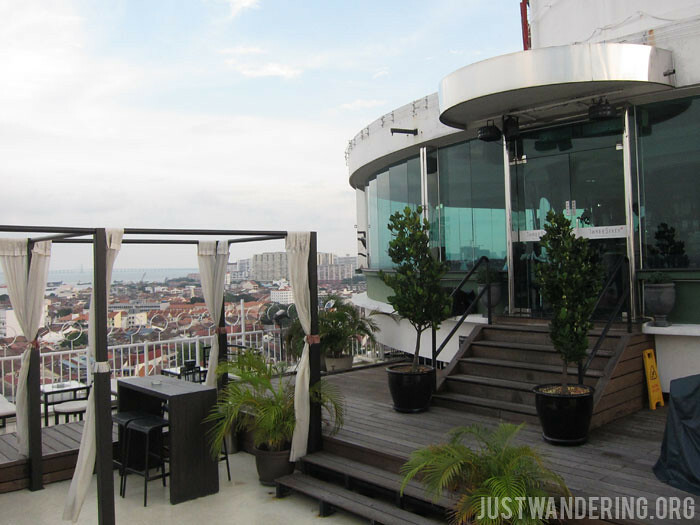 The rooftop al fresco bar also gives you a sweeping view of the city, and it’s the perfect place to watch the sun set and look out at the twinkling lights of Georgetown when the night rolls in. Drinks at the Sky Bar is a nice way to cap a day of sightseeing in Georgetown. 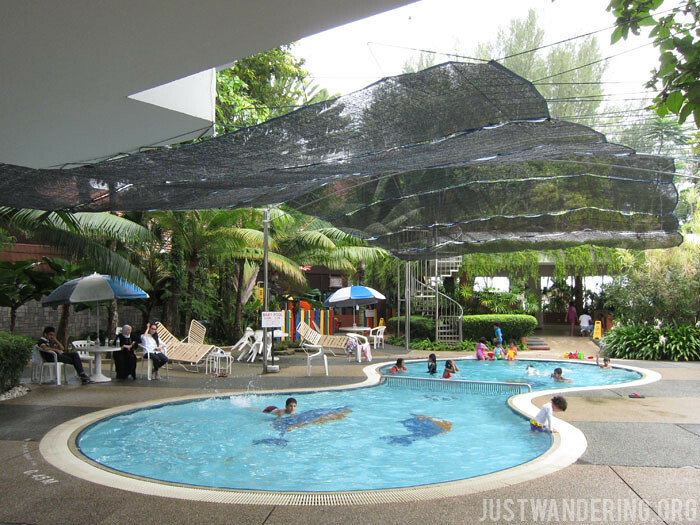 The Bayview Beach Resort has three pools, a sprawling garden, a tennis court, and offers watersport activities at the beach front (though a third party operator). If you get hungry, do try the roasted chicken rice and the nasi goreng at the La Veranda Coffee House in the ground floor. 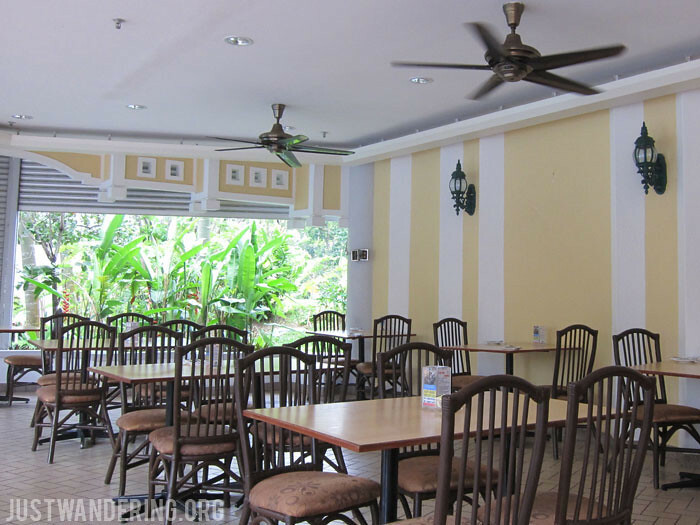 Thank you so much to Lawrence of Bayview Hotel Georgetown and Kumar of the Bayview Beach Resort for the warm welcome and accommodation during our stay in Georgetown!